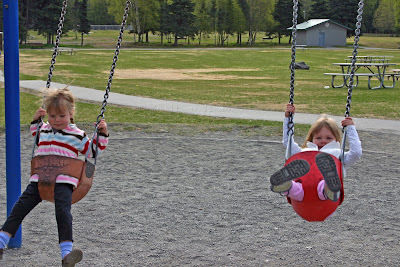 Last week, I took my twin daughters to a local park known for its kid-friendly playground. We set out bright and early on a sunny morning. 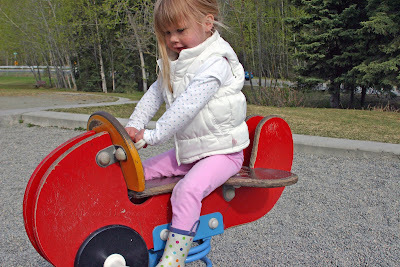 School wasn't scheduled to end for another week-and-a-half, so I figured we'd have the park all to ourselves. I figured wrong. A class of sixth graders showed up for a school year-end celebration. 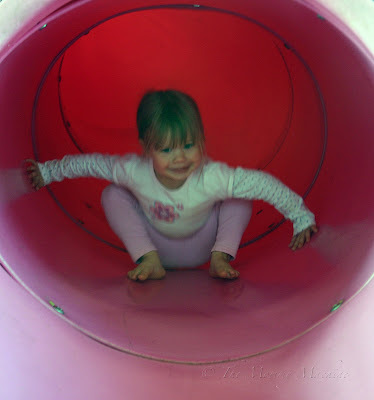 Rule of thumb: if a child no longer enjoys using playground equipment as it was originally intended by its designer, that child is probably too old to play on said playground equipment. When a kid replaces swinging with heaving the swing up and over the top bar until it is wound so high no one can reach it, that kid is likely too old for the swing. 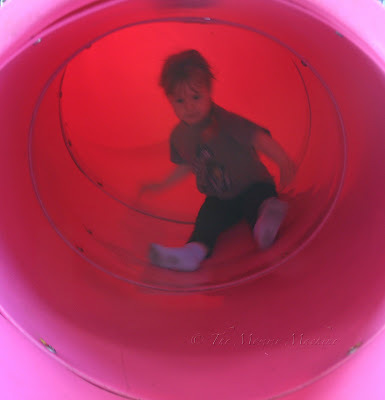 If a young person opts to climb up the outside of a 15' covered slide, rather than sliding down through it, that young person is surely too old for the slide. 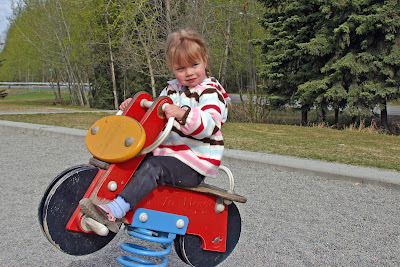 When a child prefers gathering several of his friends to stand together on the spring-y one-man seesaw motorcycle so they can bend it down to the ground before jumping off, instead of individually sitting on its seat and rocking back and forth, that child might be too old for the spring-y one-man seesaw motorcycle. Maybe I'm too old. An old fart. A grumpy old fart who doesn't appreciate her 3-year-olds getting shoved, knocked over, and pushed aside by a pack of rabid sixth graders who've been set loose in a park. Oh I've seen those types of kids at our park too. Recently, some older kids taught my boys how to make mud in the sandbox and to make huge mudballs and sling them at all the playground equipment. I would have taken out the little punks! Nobody messes with the little ones! no, honey ... you are not old. I'm the bi***y momma who is always telling the older kids to play on the equipment designed for them, and leave the toddler stuff alone. Yup .. I'm well loved at the park!